When most people think of bone marrow, they probably think of diseases like leukemia, and the use of transplants to help treat cancer and other serious and potentially life-threatening illnesses. Primarily responsible for producing new blood cells, the marrow also produces stem cells, which in turn have the capability to develop into the many different forms of tissue, organs, and other cell groups that are essential for the human body’s processes and functions. With the ability to differentiate into numerous types of tissue, stem cells also have great potential to help harness the body’s own mechanisms in order to heal injuries and treat diseases in more advanced ways. What do Stem Cells Have to Do with Hips, Knees, and Shoulders? So, what does bone marrow have to do with chronic hip pain or a meniscus or rotator cuff that keeps tearing? The use of stem cells in orthopedics has helped pave the way for some of the most groundbreaking discoveries and successes in clinical applications for regenerative medicine to date. How? 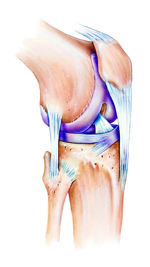 Joints like the knee, hip, and shoulder are protected by cartilage that helps to buffer the bones from friction. Over time, cartilage tends to wear down and degenerate resulting from the normal wear and tear over time associated with age, or through traumatic injuries or degenerative conditions like osteoarthritis. Cartilage does not regenerate on its own, and in the past people suffering from cartilage loss have had to deal with chronic joint pain, limited mobility, or an artificial knee or hip replacement. With stem cells, it is possible to regenerate cartilage in the hips, knees, or shoulders and protect the bones from scraping against each other with every movement. Stem cells enable orthopedic surgeons, like Dr. Meier, to repair and strengthen damaged cartilage. In addition to blood cells, bone marrow produces hemopoietic and stromal stem cells. Hemopoietic cells develop into the blood cells, and stromal stem cells are responsible for cartilage, bone, and fat tissue. In the field of orthopedic regenerative medicine, stromal (also known as mesenchymal stem cells or MSCs) are significant because they can differentiate into any of the groups of cells that are necessary to help you walk, run, jump, stand, sit, wave your arms, offer up a tennis serve, as well as continuing to play golf and basketball or train for half marathons. Like all cells, stem cells behave in different ways and are categorized according to their specific traits and characteristics. Whether a stem cell has the ability to self-renew, and the type of cell it can differentiate into, in addition to where it originates in the body can help in formulating viable treatment methods for orthopedic conditions like jumper’s knee or to treat chronic low back pain. Pluripotent cells – Have the ability to differentiate into all cell types found in the body. Embryonic stem cells are pluripotent. Multipotent cells – Can also differentiate into several types of cell groups, but are more limited in scope than pluripotent cells. Adult stem cells and cord blood cells are examples of multipotent cells. Induced pluripotent cells (iPS) – You’ve probably heard of Monsanto, but this is no GMO corn. To make induced pluripotent cells, scientists and researchers take a normal hair or skin cell and engineer it using additional genes to create a modified pluripotent cell. Stem Cells and Regenerative Medicine in the Real World – How Does it Work? Because no two injuries affect anyone in exactly the same way, treatment options also vary in effectiveness from person to person. One of the many promising benefits of stem cell therapy for orthopedic and sports injuries is the ability to tailor minimally invasive treatment options specific to each patient for the best and most personalized results available. 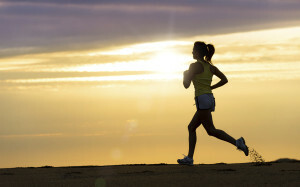 To learn more about regenerative medicine and whether stem cell treatments are right for you, contact Meier Orthopedic Sports and Regenerative Medicine at 310-504-2988 to request a consultation today. Next, read stem cell therapy for chronic low back pain.